In part one of this LTFS series we showed you an inside look at what LTFS is and the secret sauce that makes it work. In part 2, this BlogBytes will examine exciting LTFS implementations that can be engaged in a variety of industry segments including movie and TV production, medical imaging, digital surveillance, legal files, architectural drawings, oil & gas exploration, cloud applications and more. 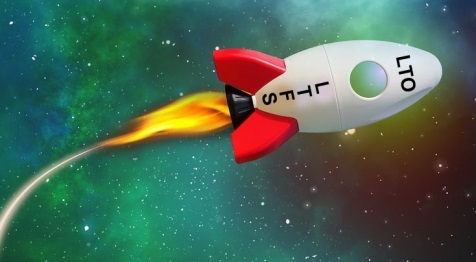 You will see that LTFS can be implemented solely with a stand-alone drive to great effect, in tape library configurations serving numerous users, as well as in integrated configurations with disk storage and media management systems for enterprise ready storage environments. All of these scenarios are designed to simplify data management, protect data and reduce costs. 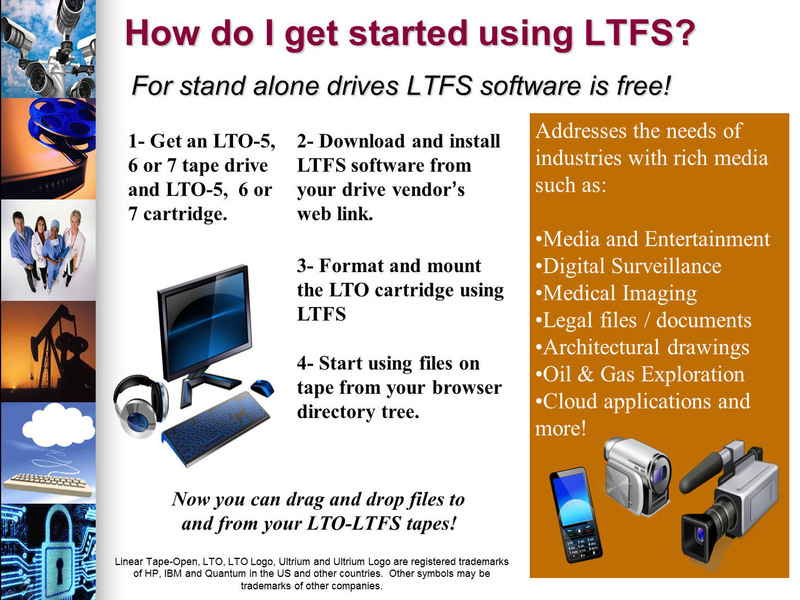 Using LTFS (Linear Tape File System) with a stand-alone drive is a straight forward process that will allow you to access and manage files on tape easily in a manner like using a USB storage stick or hard disk drive. Drag and drop files to and from the LTO tape without requiring proprietary backup software (Figure 1). Get started using LTFS with a stand-alone drive in 4 simple steps. mount point and the first level folders are individual cartridges that contain sub-folders and file content (Figure 2). The name of the folder is either the bar code number for the tape cartridge, or optionally you can provide a more meaningful name when you format the cartridge with LTFS, like “March Madness Highlights” or “News February 2016.” Users from their workstations can open folders and drag and drop files to and from the tapes in a similar manner as using a USB stick or disk drive. In this case, the library automation does the work of retrieving and storing the cartridges, improving efficiency and productivity. LTO-LTFS integrated implementations range from media management systems, Flash and tape tiered offerings and beyond! These implementations can create an LTFS tape that can be used on any LTO-LTFS compatible system. LTFS tapes can be exchanged easily between LTFS users working in different operating systems, using different software and in different locations. These integrated offerings give organizations an easy way to use cost-effective LTO tape drives and libraries for virtually unlimited storage within a tiered storage infrastructure. Organizations can improve efficiency and reduce costs related to storing growing amounts of data. Some offerings use a storage gateway that integrates tiers of storage with disk, flash and LTO-LTFS technology to simplify data management and allow low-cost data protection. These implementations can be used as file-based, network-attached storage or for object-based storage to support dynamic data environments. In enterprise environments data can be managed based on user policies that can provide metadata management, caching, job sequencing, media verification and automated migration between the tiers of flash, disk and tape storage to optimize performance and data availability, reduce costs and enable long term data protection. A list of vendors offering LTO-LTFS solutions can be found at the LTFS partner page. 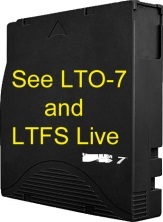 See LTFS with LTO-7 tape technology demonstrated live by the LTO Program at the upcoming ISC West security conference in Las Vegas, booth #4029, April 6-8, 2016 and at NAB in Las Vegas, booth #SL11508, April 16-21, 2016.